Elon Musk stepped down as chairman but stayed on as CEO. Tesla Inc said Robyn Denholm will replace Elon Musk as chair of the electric-car maker's board, more than a month after the billionaire had to step down from the role as part of a settlement with US regulators. 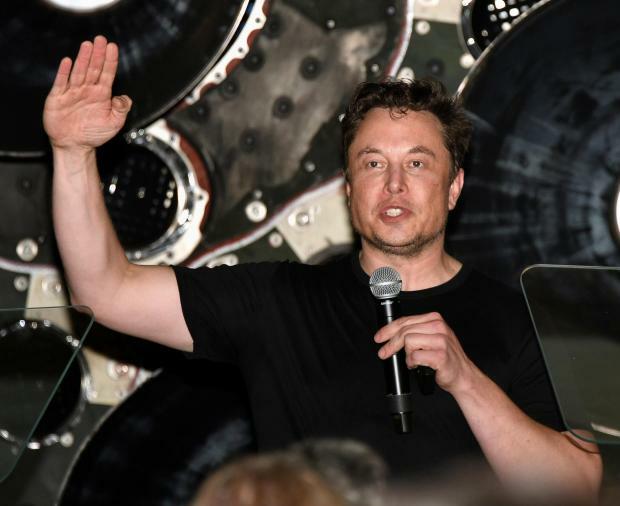 The appointment of Denholm, one of the two women on the carmaker's nine-member board, caps months of turbulence for the company and its stock as investors called for stronger oversight of Musk, whose erratic public behaviour raised concerns about his ability to steer the company through a rocky phase of growth. The company had until November13 to name an independent board chairman under its agreement with the Securities and Exchange Commission, which followed an investigation into Musk's tweets that he had "funding secured" for a deal, later scuttled, to take Tesla private. Musk, who has been on Tesla's board since 2004, quit as chairman but retained his role as CEO. His tweets attracted scrutiny from several other government agencies as well. Denholm is currently chief financial officer at Australian telecoms operator Telstra Corp Ltd and has been an independent director on Tesla's board since 2014. She takes over as Tesla's chair immediately and will be tasked with overseeing the company as it ramps up production of its Model 3 sedans, seen crucial for the carmaker's sustained profitability. Denholm will leave her role as CFO and head of strategy at Telstra once her six-month notice period with the company is complete, Tesla said late on Wednesday. She was named as Telstra's CFO in July. Tesla said Denholm, 55, would serve as chair on a full-time basis and temporarily step down as chair of the company's audit committee until she leaves Telstra. "Would like to thank Robyn for joining the team. Great respect. Very much look forward to working together," Musk tweeted early on Thursday. The Financial Times reported in October that outgoing Twenty-First Century Fox Inc chief executive James Murdoch was the lead candidate for the job, citing two people briefed on discussions. Musk later tweeted that this was "incorrect." Murdoch is also an independent director on Tesla's board. The carmaker last month quieted some critics after it reported a net profit and positive cash flow in the third quarter as higher production volumes of Model 3 sedans began to pay off, delivering on Musk's promise to turn the company profitable. Tesla's shares, which were up marginally at $349 in early trading on Thursday, have gained about 12 per cent this year.